Seeing your reflection in the mirror is like a physical pain. It’s not just one part of your life. It’s obsessive. It consumes your every waking moment. Then you start feeling envy toward beautiful people. Wrath at whatever higher being there is for not making you one of them. Pride in your strengths whenever you see someone who looks worse than you. Self-loathing and blaming your treacherous genes for giving you an odd face, an imperfect shape, a visible health condition. For me, it was my skin. I was cursed by a chronic illness that regularly causes rashes all over my body, and sometimes even on my face. I can’t count how many times I cried over it. Sometimes from the pain. Sometimes from the itch. Too many times from people’s looks of revulsion or their unkind words. The borderline shallowness of many people who never bothered to open a book whose cover they didn’t like was painful and grating. My insecurity was like an open wound and my self-esteem was at rock bottom. I felt like a target, a second-class citizen with few rights to have dreams, hopes, or success. I perfected the art of avoiding mirrors and cameras, bought extra clothes to cover my skin, and learned how to keep my head down to avoid eye contact. I was terrified of social situations and worried that people would look at me in disgust. Every single comment could shatter my fragile confidence. The hopelessness and soul-crushing feeling of not looking pretty enough made me want to roll the duvet over my head in the mornings and not come out. Thinking that you’ll never be happy because of your looks is the most gut-wrenching thing. It’s isolating. It’s maddening. It’s frustrating and a thousand other things. We’re living in an appearance-saturated society that tells us that our likeability is dependent on being attractive. The diet culture, beauty industry, media—they all convey that beauty equals perfection. In today’s digital age, it’s easy to create a façade with carefully chosen photos and posts that lie through omission. But deep down, you know the truth. The world doesn’t let you. Advertisements and magazine covers all remind you of how imperfect you are. Beauticians love to point out your flaws to sell you more products. It’s not until you decide to wear your imperfect look as a form of armor that you become comfortable in your own skin. People’s looks no longer intimidate you. Hurtful words don’t steal your sleep. You fall in love with yourself. It’s a journey toward acceptance. And the journey is liberating. We all face challenges in accepting who we are and how we look. But the truth is that, cliché as it may sound, beauty is in the eye of the beholder. It’s not what’s on the surface. It’s what’s inside you. Here are some of the things that helped me on my journey toward self-acceptance. 1. You can make peace with the parts of you that you hate. Accepting that you don’t like everything about your body is the first step toward having a more positive frame of mind. It’s about acknowledging that you may feel “meh” about some parts of your body, but not letting that stop you from doing things you want to do. Well, what about it? It’s there. You’re not perfect, and that’s okay. Often we forgo pleasure because we feel we don’t deserve it. Somehow simple parts of living become unobtainable “rewards.” Maybe you won’t let yourself hit the beach unless you get into a certain shape, or you can’t get married unless you drop the weight, or maybe you can’t buy new clothes until you’re a few pounds lighter. It sounds crazy when you say it out loud, but that’s how a lot of us think. So be kind to yourself. Be gentle and remind yourself of all the other things that you love about yourself. Give yourself permission to accept that some parts of your body may not be your favorite thing. You won’t always love every part of your body. However, you can still love your life even on the days you can’t love your belly. You’re certainly not alone in your struggle toward body acceptance. I could give you a laundry list of things I don’t like about my body. However, this is the body you were given. It’s the only body you were given. So it might be time to make peace with it. 2. Everyone feels unattractive at times. We all have moments of weakness when we view everything through a negative filter, and the voice in our head becomes critical and unloving. Times when we feel ugly and unattractive. All of us. You. Me. Your best friend. Days when you look at yourself in the mirror and don’t see anything positive. You don’t see the loving spouse, the caring mother, the wonderful son, the understanding friend. You don’t see the wisdom in old age wrinkles, the power in stretch marks, and the beauty in your body curves. Instead, you just see . . . blah. Gross. Unlovable. Disgusting. In those moments of self-doubt, pause and ask yourself these questions: Is my mood affecting the way I’m feeling about my looks? Have I been getting enough sleep and fresh air? Have I been eating well and moving my body frequently? Self-care is so important because your mirror image is simply a manifestation of your positive energy. 3. Media-defined ideals of beauty aren’t real. For years, the world of media has been trying to construct a sparkling image of what an ideal man and an ideal woman should look like. From television shows to commercials to magazine advertisements to celebrity culture, mainstream media has been reinforcing the notion that you only look beautiful if you have a toned body, perfect hair, and flawless skin. But the reality is that you just don’t. Why? Because the image of perfection doesn’t exist. It’s superficial. It’s unattainable. Even models themselves don’t look like their photoshopped, heavily edited images. No wonder you come up short whenever you compare yourself to celebrities and models on magazine covers. The pressure of looking perfect weighs you down. You begin to think that you aren’t beautiful enough, are too fat, too small, too whatever. All that to say that you’re not good enough. That’s, at least, what the beauty industry wants you to believe. If you feel inadequate about your looks, you’re more likely to buy whatever fix the ads are selling. Making you uncomfortable with your body sells – whether it’s a weight loss plan, fashion, or a beauty product. Are you going to change society’s definition of beauty? No. However, you can change your own. Don’t focus on the beauty you see in ads; focus on the beauty you see in the real-life people you admire. 4. Your reflection doesn’t define you. The sum of who you are—your thoughts, beliefs, hopes, dreams, feelings—is much greater than what meets the eye of an observer who doesn’t know you. All those things about you are the force that draws others to you. You might have heard the saying that an ugly personality destroys the face. Well, I happen to agree with that 100 percent. Sometimes you hear somebody speak with kindness and compassion, and you perceive them as beautiful. However, it’s not their outer appearance you’re drawn to. It’s their inner depth, a kind of beauty that can’t be inherited, photoshopped, or surgically attained. I know many people who aren’t the most attractive, but their energy, joy, and positivity is so contagious that it’s hard not to have them around. So think about what brings you joy. Do things you like. Make your self-esteem contingent on inner, not outer, qualities. After all, a positive attitude brings more friendships than looks do. 5. Your perception becomes your reality. If you feel beautiful, it will transcend your physical attributes. Think about the story you’re living right now. Did you consciously decide to create it, or was it shaped by your parents, your friends, or perhaps even the media? From the time you were born, you’ve received both positive and negative messages from your surroundings. All those messages create your belief system. You act on those messages as if they’re true until you believe them to be true. They become your reality. They give you your identity. Every time you say “I am,” you are telling a story about yourself. When your story takes on a life of its own, you become it. But who wrote that story? And why is there so much criticism and low self-esteem in there? Rewrite it. Take control of the pen and write the story you want. Next time you notice that inner critic of yours attacking your appearance, catch it. Take a deep breath and ask yourself if you can release it. I’m not talking about making it spit out positive, self-loving affirmations that don’t feel authentic and real to you. I’m talking about the soft, embracing energy of acceptance. I’ve learned to cultivate self-worth apart from my appearance. I take pride in my talents, skills, intelligence, and caring heart. When my perfectionist self wants to critique not only my appearance, but also everything I do, I remind myself of those qualities. When you open up to all parts of yourself, you will feel lighter. As you rewrite your story and let yourself be you, the many facets of your beautiful self will shine. It’s a practice of making peace with what is. And you can make it happen within yourself. It’s an ongoing journey that feels liberating. Petra Scott is a registered nutritionist and fitness coach who helps women build a foundation of wholesome eating to create a strong self-image. Download her free worksheet, What Attracts People to Each Other & How to Increase Your Own Attractiveness. 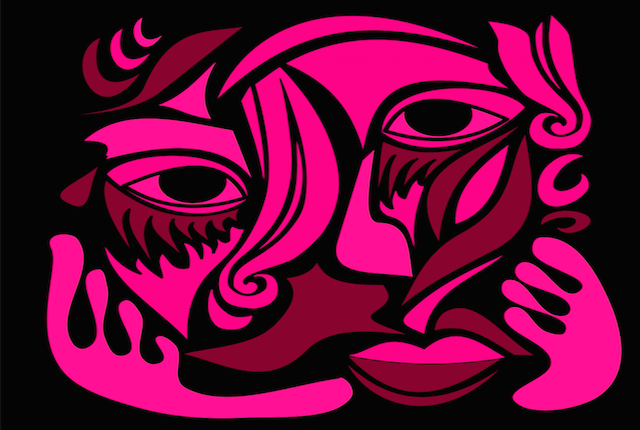 The post 5 Things to Remember When You Feel Disgusted by How You Look appeared first on Tiny Buddha. written article. I will make sure to bookmark it and come back to learn extra of your helpful information. Thank you for the post.